This is the 2nd year for the report. The company analyzed 20 Million Leads across 1,500 lead buyer databases from 90 surveys and in-depth interviews. Hear the optimism and the pessimism in the lead industry and what occurred in 2011. Hear about Mortgage Industry purchased lead volume and conversion rates. The report highlights the same information about the insurance and education industry. 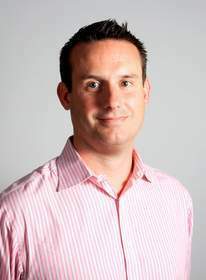 Nick Hedges is President & CEO of Leads360 and a 15 year veteran of the Internet and Software as a Service industries. Nick joined Leads360 in 2008 as SVP of Business Development and has since held various responsibilities at the company including Head of Sales and Chief Revenue Officer. Prior to Leads360, Mr. Hedges was at Bain and Company, where he led a variety of operational transformation engagements and strategic assessments in the technology, consumer products, media, and private equity industries. Prior to Bain, Mr. Hedges was the CEO of an online marketplace for the global soft commodity industry which provided trading and logistics services to companies across Africa, Asia and Europe. The company was one of the few "dot coms" to generate healthy revenue and produced a product that was a precursor to what is currently described as "software as a service". Earlier in his career, Mr. Hedges worked at Andersen Consulting (now Accenture) on Internet and process-reengineering projects and at Ogilvy and Mather Advertising as an Account Manager for Kodak and Ford Motor Company. Mr. Hedges holds an MBA with Distinction from Harvard Business School where he was a Fulbright Scholar, and received a bachelor's degree with first class honors from Manchester University. About Leads360: Leads360 doesn’t sell leads; it provides lead management software and services that ensure their clients achieve unparalleled return on investment from their leads. Leads360 is the largest and most successful sales lead management company with over 5,000 clients and more than five years of experience helping businesses grow. We provide Web-based lead software to businesses that need a proven solution to help them manage their sales process from start to close. The average company converts a small percentage of the leads they purchase or generate. Despite the time, effort and cost of marketing, companies that don't use lead management end up wasting opportunities and usually don't even know it. If you are buying or generating internet leads you need a lead management solution-and we're confident that we have the most powerful software and the best professional services and support.